Whether viewed as a proxy encounter in the Cold War or as one of the last colonial wars, the conflict in Vietnam continues to attract enormous attention as one of the most divisive and traumatic events of the post-World War II period. For too long, the issues have tended to revolve almost exclusively around American culpability: the immolation of the US of an otherwise blameless region for reasons of incompetent Realpolitik (the view of one camp) or the terrible American sacrifice which blunted forever Communism's ability to expand into the rest of Asia (the view of the other). 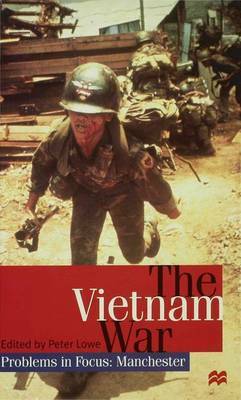 With the end of the Cold War, this old argument now seems rather stale, and this book is an attempt, using a wide, international range of contributors, to explain to students the wider meaning and effects of the Vietnam conflict. The essays will provide ideal teaching material and give a greater depth to our understanding of the war.